Ready, Set, Launch . . . and You’re Invited! THANK YOU!! to everyone who responded to my launch invitation below – please see photos of the launch party here. I read your self-care column this weekend on your blog. Just wanted to let you know that I really, really appreciated it. My first thought was: this should be in a book! Wow, that had absolutely not been my first or second or any thought at all when I wrote that article! 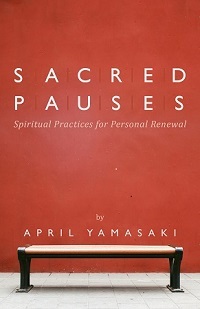 But as a result, I’ve had many more thoughts along the way as that blog post has grown, changed, and expanded into Four Gifts: Seeking Self-Care for Heart, Soul, Mind, and Strength. The book is now at the printers, and getting ready to launch on September 4! 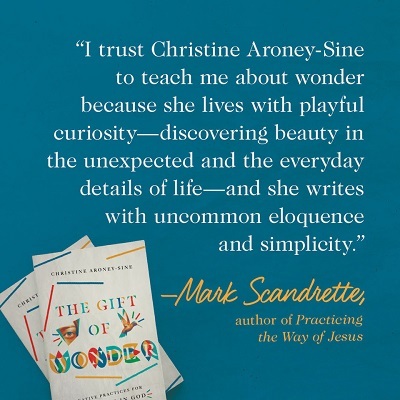 To help launch Four Gifts into the world, I’m putting together a launch team of writers, bloggers, and advance readers, and you’re invited to join in! 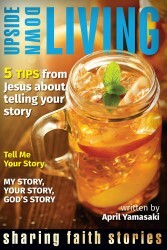 There are lots of ways to participate: sharing on Facebook, Twitter, Pinterest, Instagram, and other social media; reviewing on your own blog; leaving a review on Amazon, Goodreads, or other site; asking your local bookstore or library to carry the book; purchasing for your church library; hosting a Four Gifts book discussion group; pre-ordering on Amazon; coming to the launch party; telling your friends about the book. The beauty of a team is that no one has to do everything–after all, not everyone is on every platform, and besides, this is a book on self-care, so no running yourself ragged! Plus with a team, if enough people contribute, all the bases should be covered and Four Gifts will be well launched. Here is my official launch team invitation letter. 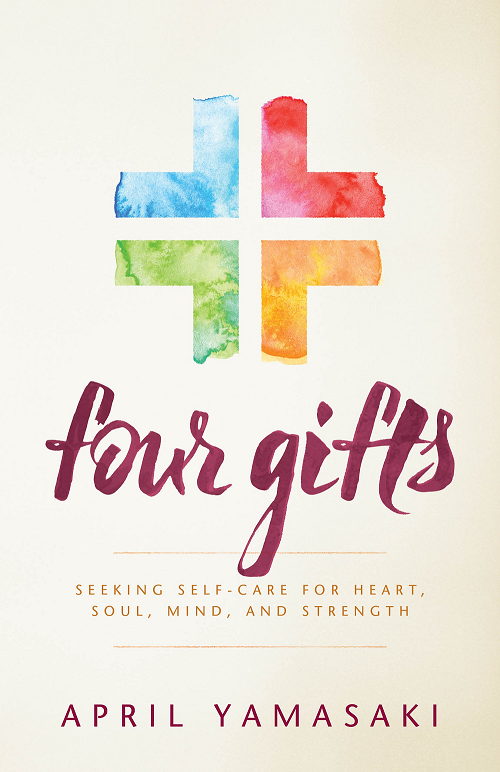 YOU ARE WARMLY INVITED to join a launch team to help spread the news about Four Gifts: Seeking Self-Care for Heart, Soul, Mind, and Strength, releasing September 4 by Herald Press. LAUNCH TEAM MEMBERS will receive an email with a link to the Table of Contents for immediate download, a digital copy of Four Gifts in the next couple of weeks, plus a half dozen emails from me between now and the book’s release September 4. Each email will contain a small task for you to accomplish, e.g., sharing on Facebook, Instagram, or your own blog, sending a Tweet, reviewing on Amazon, Goodreads, or elsewhere, and sharing in other ways. To make this easy, you’ll receive sample tweets and memes to use, and be added to a Facebook group for launch team members. After the book is released, there will also be a drawing for copies of Four Gifts and other prizes as a thank you for your time and energy. 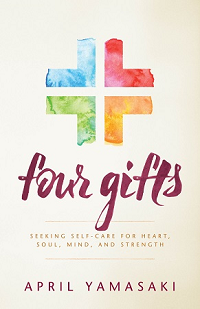 ON SOCIAL MEDIA, please use the hashtag #FourGifts and direct friends and followers to the book’s Amazon page: https://www.amazon.com/Four-Gifts-Seeking-Self-care-Strength/dp/1513803344. The book is now available for pre-order on Amazon too! IF YOU ARE IN THE AREA, it would be wonderful to see you at the launch party—September 8, 7pm at House of James Bookstore and Coffeeshop in Abbotsford, B.C., with more details to come! TO JOIN THE LAUNCH TEAM, please sign up here: https://mailchi.mp/c4631aaca108/four-gifts-launch-team. Registration closes on Monday, July 23. I’m excited about Four Gifts, but I promise not to focus solely on book news in the coming weeks! from the apostle Paul and his co-workers. Thanks, Bev! I’ve been part of other book launches, but haven’t done one like this myself until now, so I’m learning a lot.